Today’s post is sponsored by my good friends at Mirum, all opinions are 100% mine! 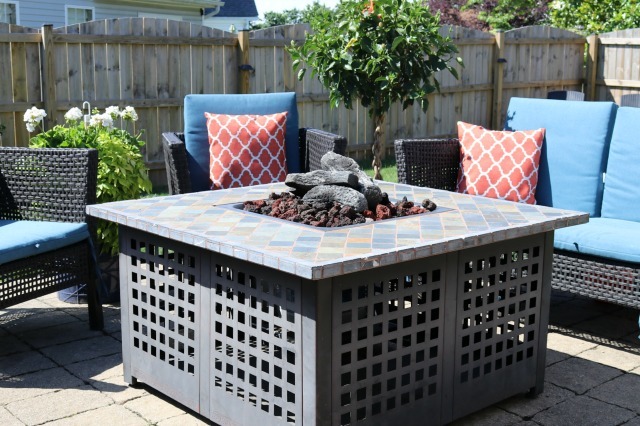 A couple of years ago, we added this amazing gas fire pit to our patio, and it totally changed the way we used our patio. The kids love roasting s’mores and I love having friends over late into the evening, even when it’s cool. 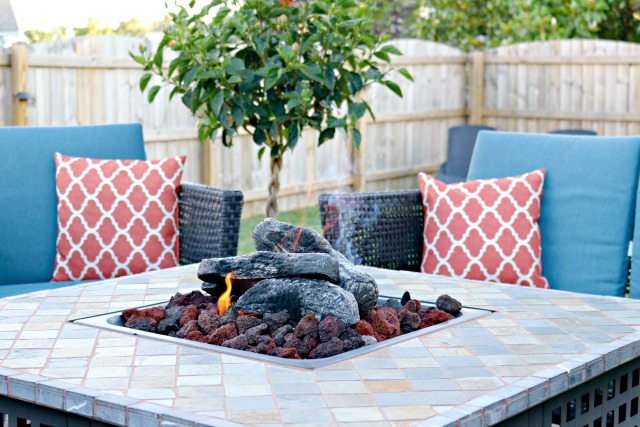 An outdoor fire is so nice and cozy! We chose this particular fire pit because it had an ignition switch for starting the fire that made me feel really safe. The problem is that several different batteries that we have tried either didn’t work after a few uses, and the last battery leaked, which made feel a little nervous about using it. I had recently read that can ruin a product and make a huge mess. I certainly didn’t want the leaky battery to cause the entire switch to go out and compromise our fire pit. So, we’ve been lighting the fire manually. 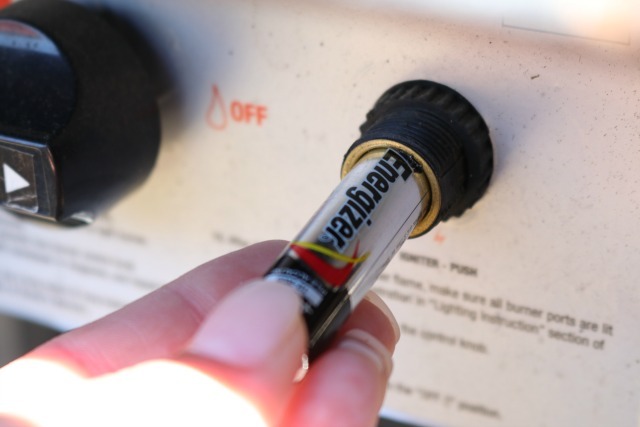 Let me rephrase that…my husband has been lighting the fire manually because it terrifies me to light a gas fire with a match, and the whole leaky battery thing made me super nervous. My husband travels quite a bit, so I just stopped using the fire pit when he was out of town, which kind of stinks because I love being outside. If the kiddos asked to have a fire when dad was out of town, I put it off until he was home. I’m usually not afraid of things, and I am pretty tough, but I do have a fear of gas and fire. This is the last leaky battery that I pulled out of it. The one before was much more corroded, and this one only took a few uses before starting to leak. UGH! 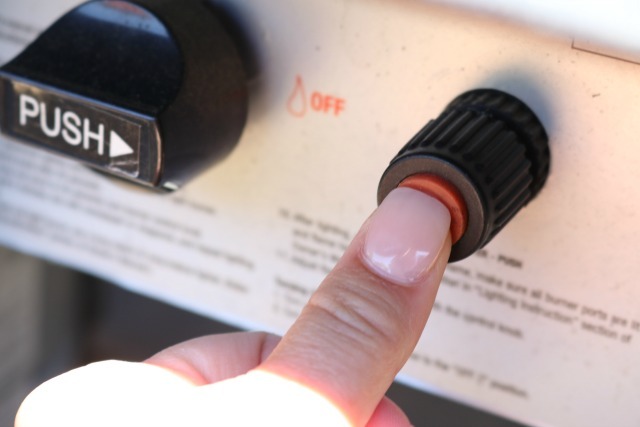 I recently learned that Energizer offered a no-leak guarantee, and was thrilled at the thought of being able to use my fire pit’s ignition switch again! 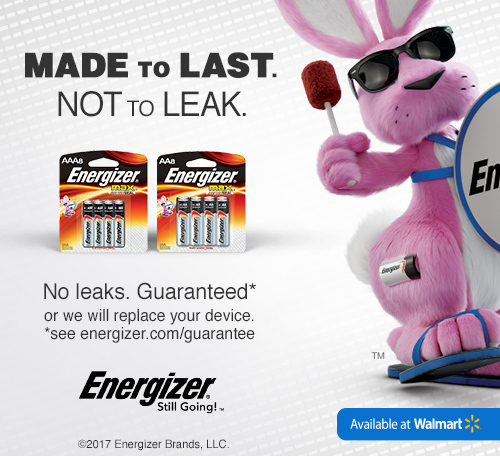 Energizer guarantees no-leaks AND long-lasting power, and that’s just what I need! 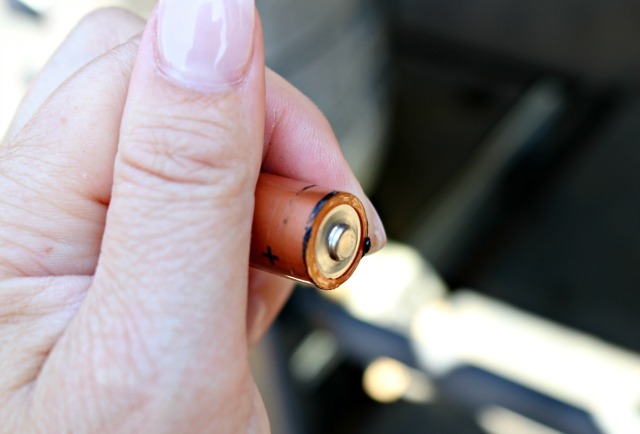 I made a quick trip to Walmart a couple of weeks ago to purchase some Energizer batteries and get my ignition switch working safely again. 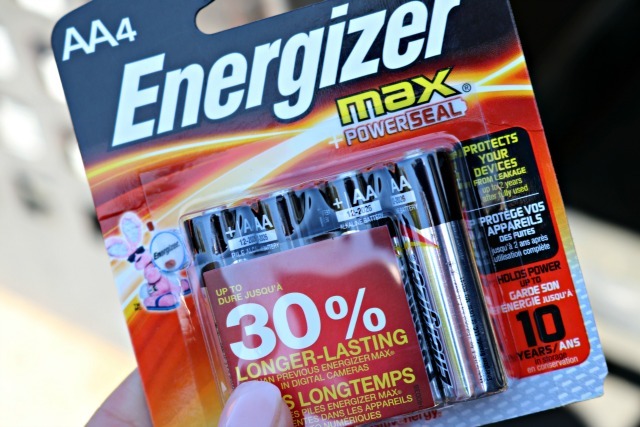 I love that right on the front of the package, it says Energizer max POWERSEAL, and also states that it protects your devices…let’s do this! I started by cleaning out the ignition switch and removing any debris from the leaky battery that was in there before. Then, I added my new Energizer battery. 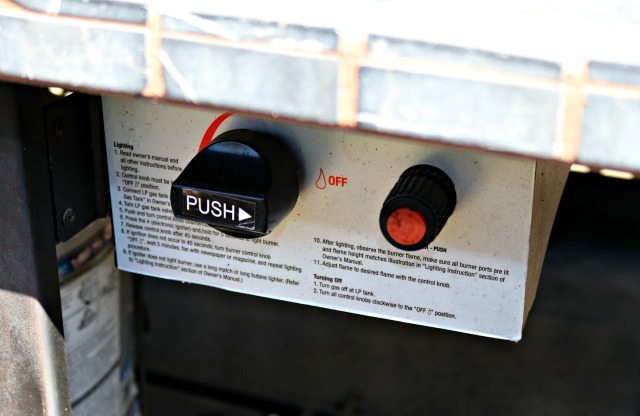 I pushed the ignition switch and held my breath…it worked! Within seconds, I could hear the click of the ignition and the fire started as soon as I turned on the gas! We have been using the fire pit almost every night for the past couple of weeks, even when my husband is out of town. I’ve checked the battery daily, and there is absolutely no sign of leakage whatsoever! We are back to enjoying s’mores and late evenings laughing by the fire with friends and family with no worries about leaky batteries! 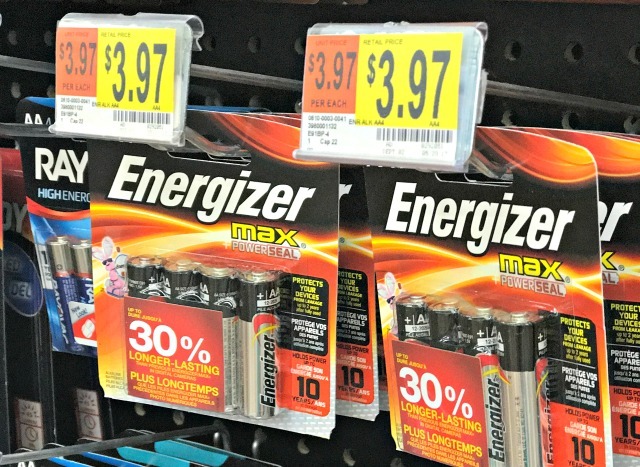 Be sure to grab your Energizer batteries at your local Walmart and never worry about leaks again!